Hubert Jude Brown was born September 25, 1933 in Hazelton, PA and grew up in Elizabeth, New Jersey. Hubie was a good all-around athlete who became a standout at St. Mary of the Assumption, a small Catholic high school on Broad Street with a strong sports program. He helped the Hilltoppers win state baseball and basketball titles. Hubie enrolled at Niagara University , where he continued to excel in those sports. The Purple Eagles hoops squad was coached by Taps Gallagher and included future NBA coaches Frank Layden and Larry Costello, as well as African-American forward Charlie Hoxie, who was drafted by the Hawks in 1955 but ended up playing for the Harlem Globetrotters. Niagara went to the NIT in all three of Hubie’s varsity seasons, finishing in 3rd place in 1954. That season the team upset several highly ranked schools, including La Salle twice during the regular season and Dayton and Western Kentucky in the NIT. Hubie was one of the top defensive guards in the nation. Hubie went undrafted after graduation. He served three years in the Army, where he continued to play ball for base teams and also coached in high school. In 1958, he played a handful of games for Rochester of the Eastern League before returning to Niagara to get his masters in Education. During the 1960s, Hubie taught in New Jersey at Cranford High and Fair Lawn High, and also coached the basketball teams at those schools. He moved into the college coaching ranks in 1968 as an assistant with William & Mary, and then at Duke a year later. In 1972, Hubie’s old college teammate, Larry Costello, hired him as an assistant with the Milwaukee Bucks. Two years later, Hubie landed his first pro head coaching job with the Kentucky Colonels of the ABA. The Colonels had loads of talent, including big men Artis Gilmore and Dan Issel. They came together down the stretch, winning 23 of their final 26 games and rolling to the championship with three consecutive 4–1 series wins over the Memphis Tams, Spirits of St. Louis and Indiana Pacers. Joe E. Brown, the team’s owner, challenged the NBA champion Warriors $1 million to play a single game “final” but they refused. The ABA folded after the 1975–76 season and the Colonels were not part of the merger, but Hubie landed on his feet with the Atlanta Hawks. He molded a –tag team into a respectable club and was named NBA Coach of the Year in 1977–78. Two years later, the Hawks won the division title. Under Hubie, Eddie Johnson and Dan Roundfield developed into two of the best defensive players in the league. 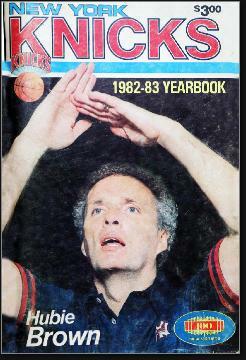 In 1982, Hubie was hired to succeed legendary coach Red Holzman by the Knicks. New York had the makings of a top team until Bernard King blew out his knee. Hubie coached the club until 1987, when he was fired after a slow start. CBS snapped up Hubie and paired him with Verne Lundquist. He had done a great job a couple of years earlier, working behind the microphone with Brent Musberger during the playoffs. Hubie went on to become one of the NBA best analysts for CBS and, later, for TNT. He spent 16 yaers on the air before returneing to coaching at age 69 with the Memphis Grizzlies in 2002. In 2003–04, he led Memphis to its first 50-win season and won his second NBA Coach of the Year award. Citing age and health concerns, he resigned from his head coaching job in November 2004. Mike Fratello replaced him. Fratello had also succeeded Hubie as Hawks coach. Hubie returned to broadcasting with ABC, calling the 2005 and 2006 NBA Finals. In 2005, he was inducted into the Hall of Fame. In a pro coaching career that spanned 15 season over 30 years, Hubie had a 48.6 winning percentage and guided his teams to winning seasons seven times—including three 50-win campaigns.